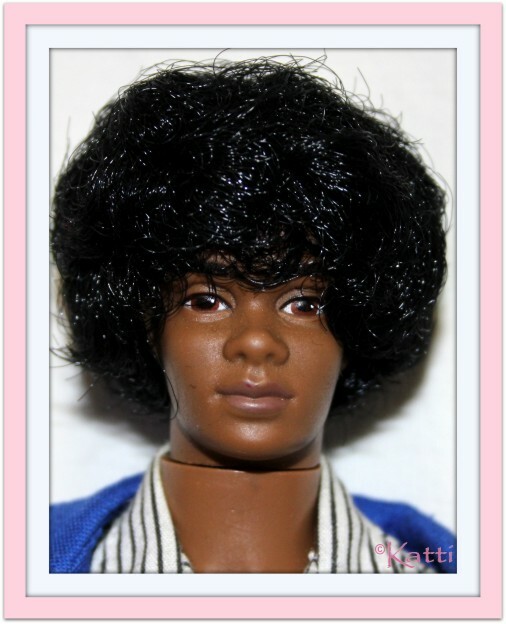 The first black Ken released, was this dude, Sunsational Malibu Ken with a huge afro style hairdo. Rooted! He is one of my favorite black Ken dolls, but I wish he came with bent arms. Since he is a swimsuit doll, the PTR arms is used.